From all the games I have tried so far, why do *all VR games go about movement wrong? Subjectively speaking, of course. From what I've seen, there are three ways VR games go about the mechanics of movement. The first way is that there is no movement around a level. On the surface, this is the simplest method, however, one can infer that this is just as difficult as the other methods because developers have to make a game fun even with the lack of movement, such as Arizona Sunshine. Other than the movement you physically make, if your play area is big enough. The second method is to use a game controller or keyboard to move your character forward and strafe. The aiming, turning, and head movement are left up to you and your headset. World War Toons comes to mind. So far, this is my least favorite way of going about moving mechanics. It does not allow you to use your VR controllers and, for me anyway, makes me very motion sick because of the disconnect my body has from what I am seeing. The third method is to use your left controller as a "wand", if you will. You point it to where you want to go and then click. It will then teleport you to that location. Great, right? We have a method that allows you to be able to move around an area bigger than the space you are set up in. I am still struggling with this method and will need some more practice and retraining. What makes me struggle with this method, you may ask? I have learned over my video game playing 'career' that if you want to get to a new area but still need to aim/look at a target, you can strafe/run diagonally while continually aiming/looking at the target in question. With the wand method, you have to look at where you want to go, teleport there, and then try to resituate yourself to continue to aim/look. Not horrible, but I need a bit more practice to just automatically move my head back on target. It also doesn't help that I am always getting caught up on my tether and will need to find a solution to keep the tether above me, like a mic bone or something. I have tried pointing the 'wand' without looking to move to a new location. This has worked relatively well for me but then I feel like the immersion dissipates a little bit. My thought/solution is to have the left track pad on the vive act like a joystick. You could drag/slide your finger forward slightly to walk and slide it all the way forward to run. Same with reverse/running backwards. Sliding left and right would allow strafing and diagonal would allow you to strafe while moving forward/reverse. This allows you to still hot map the d-pad buttons to do something. If a game needs the trackpad for a different task as well, the menu button above could easily be mapped to switch from joystick mode to whatever mode. My thought/solution may not be viable for any number of reasons that I did not think about, but it may work very well. Also, if there is a game that utilizes this already, please point me in that direction as I would love to try it out. * all: I just purchased my Vive this past weekend so I have not tried or looked into all of the games out/coming out; maybe there is a fourth, fifth, sixth etc. way of movement I am unaware of. From what I have heard Doom vr has a good way of moving in vr, it uses a sort of telaportation system but instead of just appearing it's like a boost forward to that spot. People who have played Doom vr say it works well. remember that one? I think if Nintendo enters the VR market they should strongly consider some kind of modification of the power glove for their VR product. Gloves just seem to make more sense over sticks, it just seems more natural and you have more sense of control but then again I don't know. 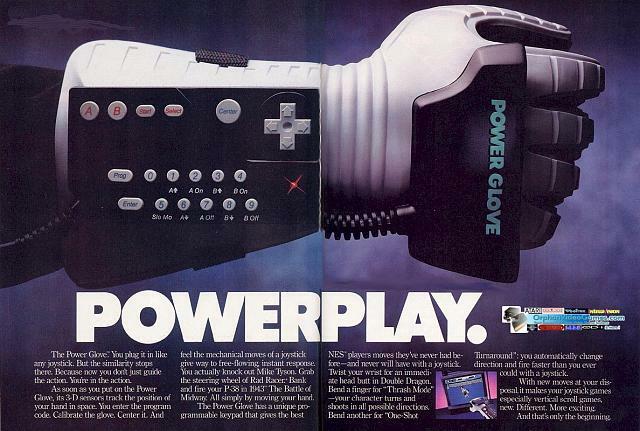 I remember about the powerglove! so far you can find a lot of options being developed @Sim_8_3 but we are in the early ages of VR (Again, I think we suffer a lot already years ago with the old technologies). And about how the games behave, I can say in my short experience, it's kind of annoying, but I also understand the developers, now the amount of movement requires a lot of hardware to be processed, so maybe if you are able to move really freely around the world it may takes a lot more of calculations from your computer. Another thing is how to make it "confortable" for the most, and I think making some limitations on how the world will look is a way. So far the best interface for VR I have used is the Leap Motion - it just uses your real hands without any sort of glove. You can't feel anything, but it's still very cool to have your own hands in VR. In our game titles, we've created "5 types of gameplay". It sounds complicated, and well, it is. But it allows us to dynamically move our games from a phone using touch, to Google Cardboard all the way to the Vive, while allowing them to get the experience they expect. Every (game I've worked with and encountered can be broken down into all of the categories. I have not seen a room control game that couldn't be easily reworked for non-room control, and vise-versa - it just might play better on a different platform. However... just my opinion. Speaking to the purpose of VR - it is to be an immersive, narrative, almost movie like experience. That needs to be room scale, and that needs to be hands on, to maximize the success of making the person feel like they are living in the environment. It is on the developers to raise the bar and do better. Gameplay experience aside, there is a ton that needs to be done on the story and narration style to ensure users are psychologically connected to the game.